Fresh Harvest Promo - Great time to try! Fresh Harvest, our vendor that provides the co-op customizable produce baskets, is offering $10 off your first basket! Also as a co-op member, you receive 15% off your basket. We are the only Co-op in all of the Greater Atlanta that receives 15% off. Other Co-ops receive 10% and some don’t have a discount. No code needed – Just select the “Suwanee Whole Life Co-op” as your delivery location FH will apply a credit to your account. 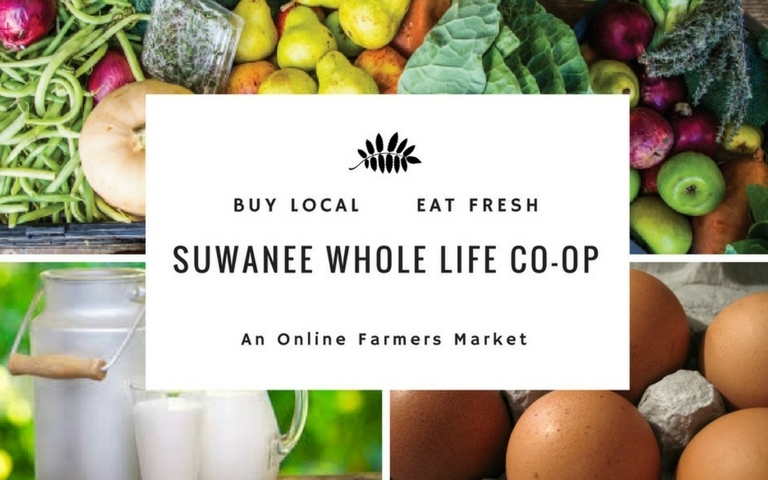 Choose “Suwanee Whole Life Co-op” as your co-op delivery location. Then setup your preferences and billing info. Your FH basket will be delivered to our pick up location on Wednesday. FH is the only vendor that you order offline on their website and you pay them directly. There is no contract and it is very easy to skip deliveries. Thank you for supporting local farms and businesses!